Celebrate fall and create one of these fall wreaths that will pay tribute to the stunning colors in fall. Burnt orange, deep burgundy, and all the other colors that represent fall. 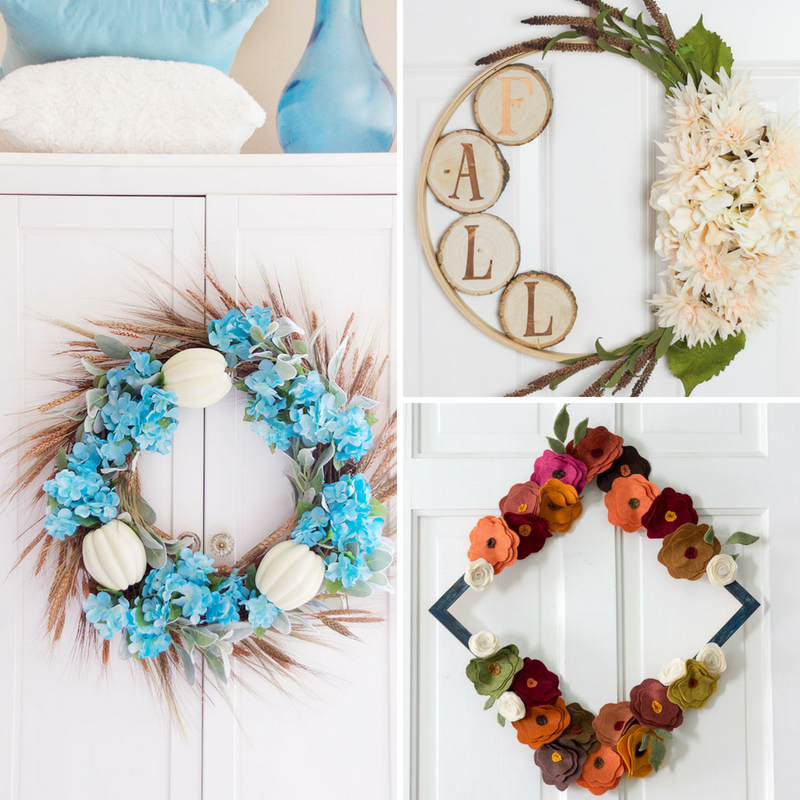 Make your front door one of the most beautiful doors on your block with these do-it-yourself fall wreaths. Order your supplies online or head to your favorite craft store and pick up all you need for these creative wreaths. Decompress and relax as you craft away making a fun statement piece for your home. The other thing about wreaths is they are great for hanging in your home as well as the front door. I love the farmhouse style where you take a rustic wreath and hanging it in your entryway as a wall decor piece. It really adds a whole new element of design to your home. 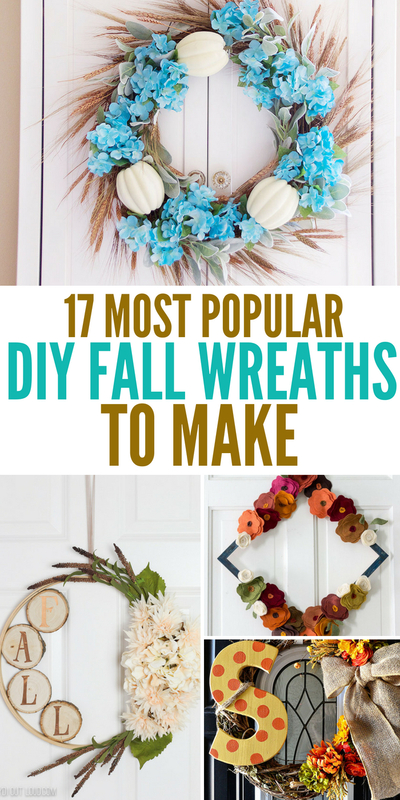 These fall wreaths below will be great for indoor or your outdoor space. Here you have a burlap wreath with some pretty fall colored leaves to add a pop of fall to your space. Super easy to make and great for beginners and advanced. Dress up your home or front porch with this wheat wreath. Simple, elegant, and very easy to make. 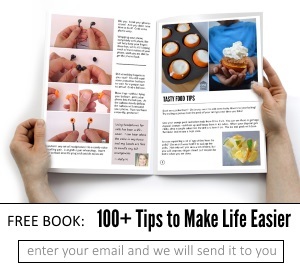 Just follow the tutorial for step by step instructions. 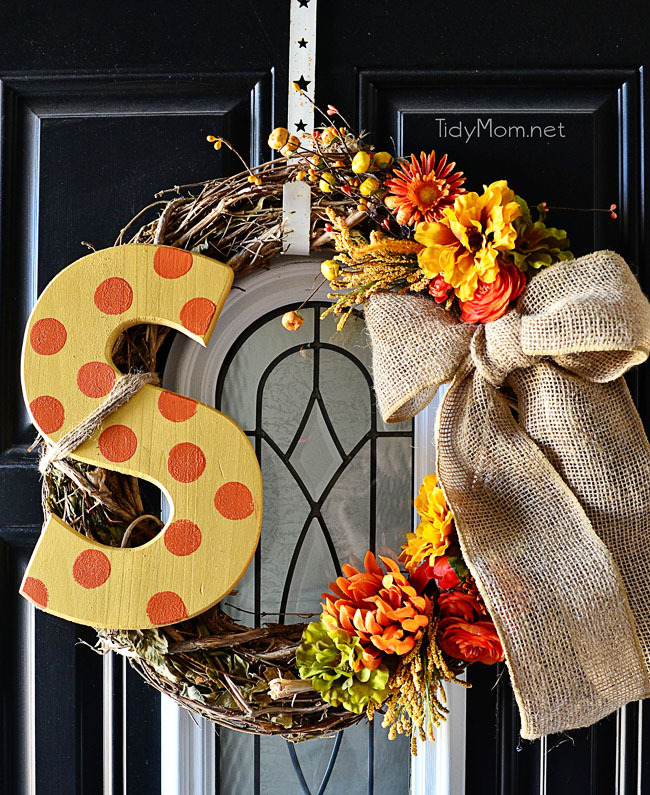 Check out this wood wreath that has an Autumn banner hanging in the center to really showcase the autumn season. Pretty colorful leaves help add the perfect amount of color. Another fun one is this ribbon fall wreath. It has burlap wrapped around a foam wreath and then add in some different color ribbons, and such to give it variety in color. 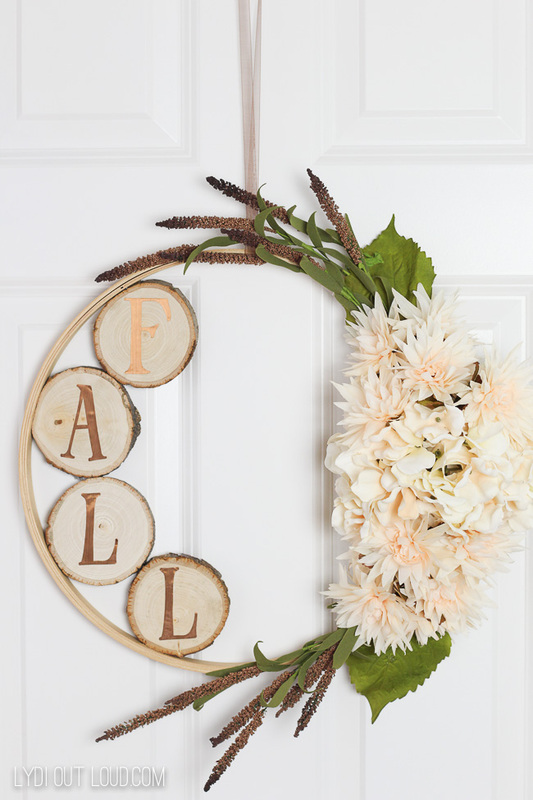 A monogrammed fall wreath is always fun to give as a gift or to decorate your home showcasing the initial of your last name. I really like the wood wreath they have for this. Looking for a budget-friendly wreath? Here is a dollar store DIY wreath that is easy to make and best of all very affordable. I love this leaves and lace fall wreath. It is unique and different than other wreaths I have seen, and can really stand out and be welcoming to your guests. Learn how to make an embroidery hoop wreath with wood slices. It is a really stand-out wreath that offers a creative element to it. 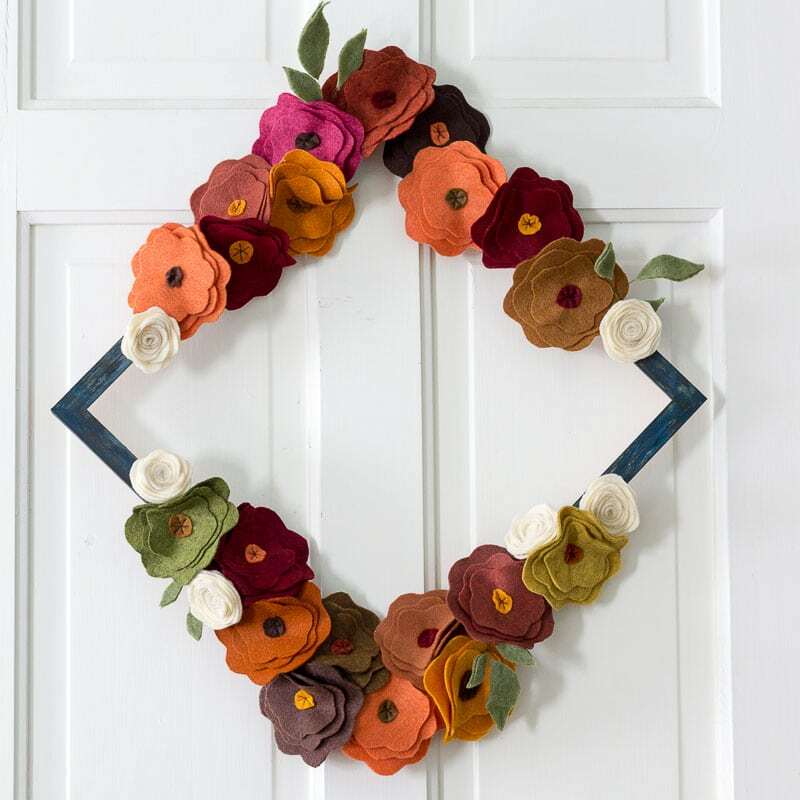 Head over and look at this scrapbook paper fall wreath. They used scrapbook paper to create a unique and creative wreath that screams the fall season is here. I love the messy look of the burlap strips in this fall burlap wreath that has a banner. It is really pretty, large, and will add a lot of dimension to a room or your front door. Looking for that pop of color? Check out this fall hydrangea wreath. Dried wheat, white pumpkins and a pop of color from the hydrangeas. This mason jar ring wreath is really unique and different. Save back some mason jar lids or head to your local store or shop online to get enough to make this wreath. Another burlap wreath is this one that uses a metal wreath form and then you use ribbon to create the fluffy wreath. Use any colors you want to get that custom wreath look. Another creative wreath is this felt flower wreath. It is unique in the shape and style, which I love. I am always looking for different and new things to decorate with. This 5-minute autumn leaf wreath is so easy to make. 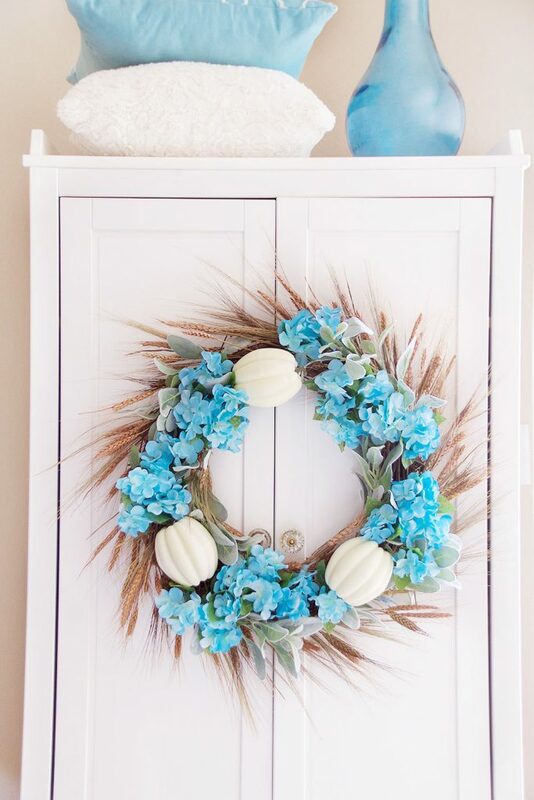 In just 5 minutes you have a homemade wreath you can hang on your front door or on a wall in your home. What a farmhouse style wreath this is! White pumpkins, moss and more give this white pumpkin wreath that high-end look that doesn’t cost near as much to make homemade instead of buying. Here is a fall wheat sheaf centerpiece that can be hung on your front door. If you don’t want the traditional wreath this could be a great alternative.